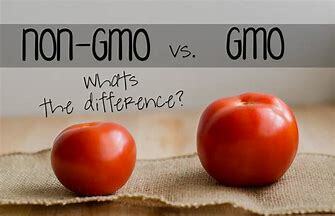 What's the difference between GMO's (Genetically Modified Organisms) and GEO's (Genetically Engineered Organism)? Simply put, a GEO is a type of GMO, but a GMO is not necessarily a GEO. Confusing? You bet. But I'll explain this in more detail as it's a subject that's all over the news and now on food labels in the grocery store. Lots of folks are confused about this topic, so here is YOUR chance to ask me any questions about GMO/GEO's! All callers will receive my new book "Don't Panic! Its Organic" in eBook form. So be sure to give your email to our engineer and I will email you the eBook right after the radio show. Last two weeks left in our Contest! AND, this month I have a 'Don't Panic! Its Organic!' t-shirt to give out! Tune in and let's get clear about this topic!